Listen up Aero lovers because this is certainly a post you are going to want to read! 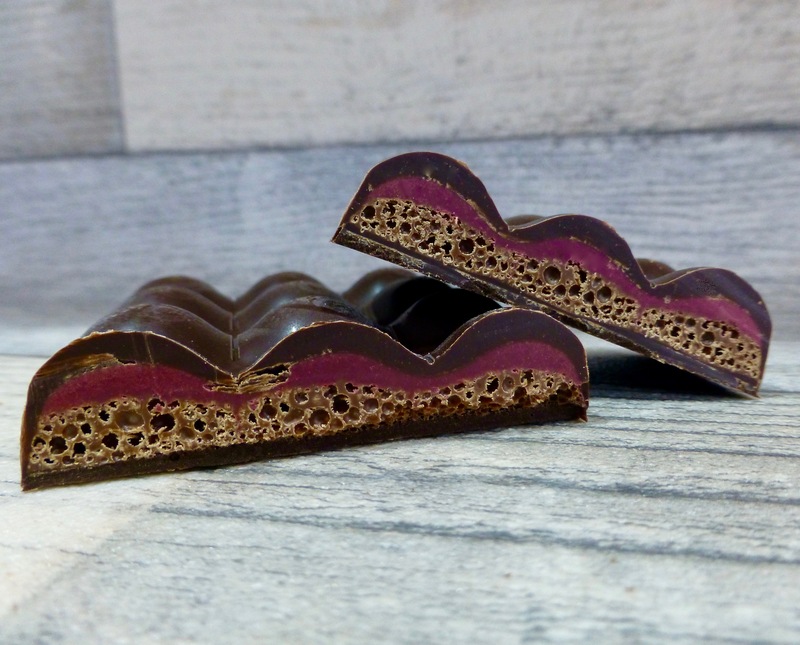 Aero Dark Cherry Truffle Chocolate bar is something to get excited about, primarily because it isn’t the bog standard flavour that’s on our UK shelves. First and foremost hopes will not be dashed because you can get your hands on this bar, albeit at a higher price. Being quick is also paramount as it tends to sell out quite quickly. This bar is from one of the go-to sites, American Fizz and it is also available on Ebay. 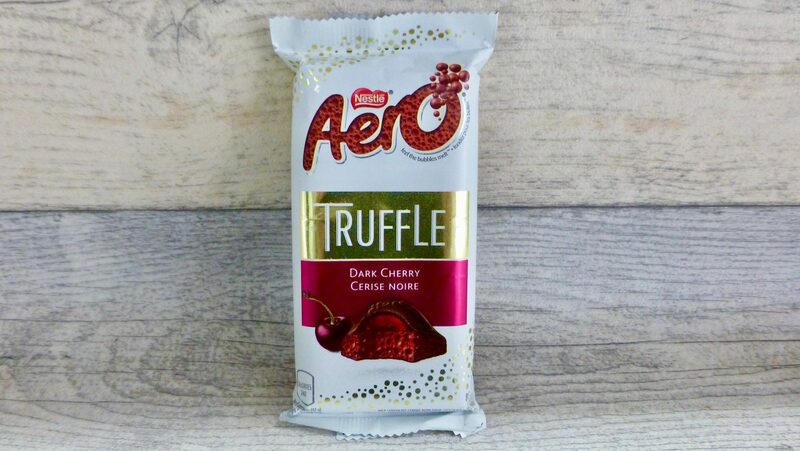 There are a few Canadian Aero Truffle Bars but the Dark Cherry by far sounds the best. With a bubbly cherry-flavoured truffle filling and dark chocolate shell it is surely going to be heavenly! Just look at it! Vibrant and pretty, it’s a bar you just want to tuck into. The dark chocolate is absolutely the right choice here. With the right amount of bitterness paired with quite an intense cherry flavour, both go together so well. The cherry flavour is pretty spot on and didn’t taste synthetic. The iconic bubbly texture gives lightness and before you know it you’ve demolished most the bar. Well the Aero Dark Cherry Truffle is one of my favourite chocolate bars in a long time. In fact it’s very hard to even think of a negative or a way to improve this chocolate bar. The only thing that springs to mind is come on Nestle UK give us some new Aero chocolate flavours!